It’s really pleasing that Anne, Deni, Eloise, Justine, Chloe, Renee, Hannah and Ailish believe our environment is the best one for them as players and people. 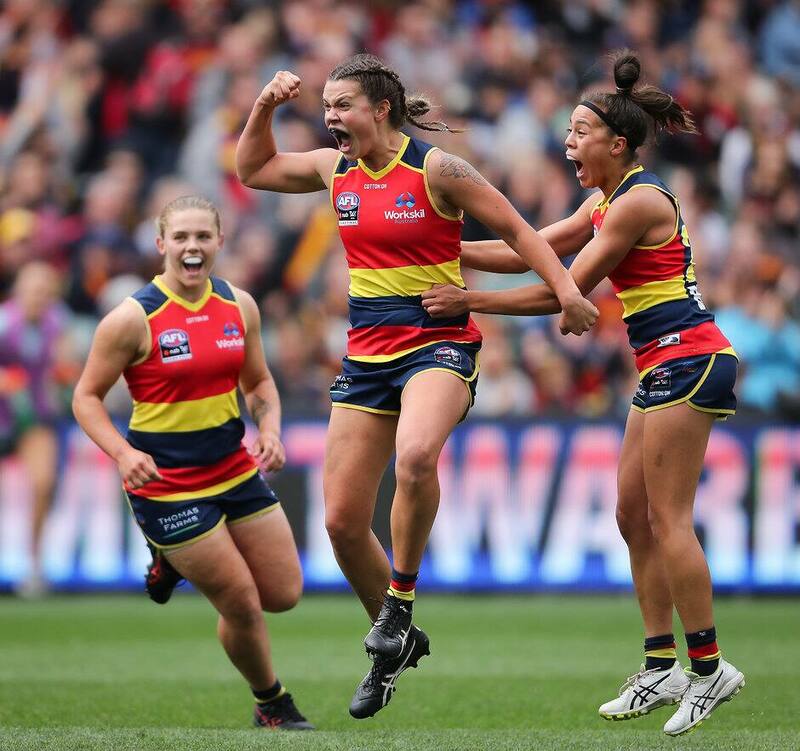 Eight premiership Crows have re-signed with Adelaide, including emerging midfielder and 2019 All Australian Anne Hatchard. Hatchard, 21, has signed a two-year contract, alongside winger Deni Varnhagen and forwards Eloise Jones and Chloe Scheer. Midfielders Renee Forth, Justine Mules and Hannah Martin have also recommitted, while Irish recruit Ailish Considine has been retained as a rookie. This comes after co-captain Chelsea Randall recently declared her intention to re-sign with the Club. Crows General Manager of Football Administration Phil Harper said the Club was thrilled to have a core group of its premiership team sign on for 2020 and beyond. “It’s really pleasing that Anne, Deni, Eloise, Justine, Chloe, Renee, Hannah and Ailish believe our environment is the best one for them as players and people,” Harper said. With majority of the squad on an overseas trip last week, it is expected that there will be more signings announced later in the week, before the signing period closes on Thursday, April 18. On Wednesday night, the team will be honoured by SA Premier Stephen Marshall and Adelaide Lord Mayor Sandy Verschoor at a civic reception at Town Hall.